THE B-MOVIE NEWS VAULT: Now Available on Blu-ray: Scream Factory's THE DEADLY MANTIS and THE WITCHES (1966)! Now Available on Blu-ray: Scream Factory's THE DEADLY MANTIS and THE WITCHES (1966)! SCREAM FACTORY ENTICES US WITH GIANT INSECTS AND WICKED WITCHCRAFT IN THEIR TWO LATEST RELEASES! THE DEADLY MANTIS is one of my favorite atomic-monster films from the 50s and it's great to see it getting the royal treatment on Blu-ray disc! THE WITCHES is a Hammer title that I am not very familiar with, but I'm ready to welcome it home with open arms, because more Hammer Horror is never a bad thing! Synopsis: This menacing insect kills everything in its path while scientists and military men work feverishly to stop it. Craig Stevens (ABBOTT AND COSTELLO MEET DR. JEKYLL & MR. HYDE) stars as the commander in charge of putting an end to this beastly insect with William Hopper (20 MILLION MILES TO EARTH) as the paleontologist and Alix Talton (THE MAN WHO KNEW TOO MUCH) as his beautiful assistant, a photojournalist, assigned to help in this epic battle between man and mantis! NEW! 2K REMASTER OF THE FILM! Mystery Science Theatre 3000 episode "The Deadly Mantis" (02/22/97)! 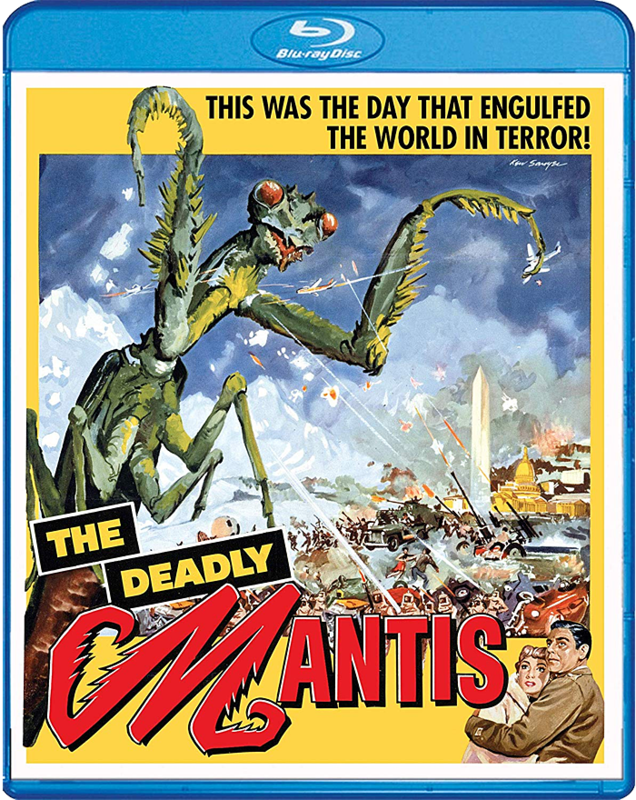 THE DEADLY MANTIS is now available on Blu-ray disc and should cost somewhere between $23 - $25! 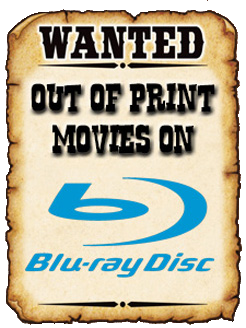 Order a copy of this classic Universal creature feature from AMAZON, BULL MOOSE, DIABOLIK DVD, or directly from SHOUT! FACTORY. 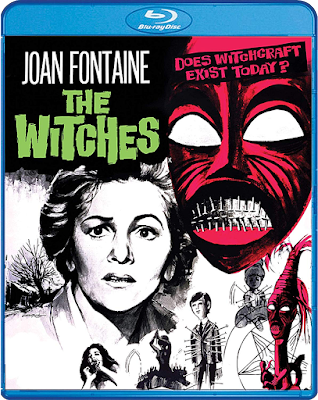 Synopsis: Haunted by the terrors of her experience with African witch doctors, school teacher Gwen Mayfield (Joan Fontaine - REBECCA) accepts an appointment as headmistress at the Haddaby School run by Alan Bax (Alec McCowen - FRENZY) and his sister Stephanie (Kay Walsh - STAGE FRIGHT). Gwen initially revels in the peacefulness she has found in the quiet English countryside but soon begins to sense "undercurrents." Before long, a local boy falls into a coma and Gwen discovers a voodoo doll impaled by pins. The danger that follows brings her face to face with witchcraft as a series of disasters unfold and lead her to the horrible truth. NEW! Audio Commentary With Filmmaker/Historian Ted Newsom! Hammer Glamour – A Featurette On The Women Of Hammer! Hammer's THE WITCHES comes out of relative obscurity and made its Blu-ray debut today! This Scream Factory title should cost you $23 and is readily available for purchase at AMAZON, BULL MOOSE, DIABOLIK DVD, and direct from SHOUT! FACTORY.